Leading tuna management experts convene to build capacity with tuna managers on international best practices for sustainable tuna management in areas beyond national jurisdiction (ABNJ). This week members from Western Central Pacific Fisheries Commission (WCPFC) states received a hands-on, expert-led course in sustainable fisheries management during a two-day workshop convened in Bali, Indonesia. The goal of the workshop was to increase understanding of the precautionary approach through the adoption of harvest strategies and the use of management strategy evaluation (MSE). Existing tuna fishing practices remain subject to a number of threats including overfishing, and the need for effective management at an ocean scale is critically important. This workshop sought to build on and reinforce efforts already undertaken by WCPFC members to implement conservation and management measures, as well as increase understanding and encourage participants to engage in the development of tuna management across the Western and Central Pacific. Ms. Rhea Moss-Christian, Chair of the WCPFC, emphasised the importance of a harvest strategy approach to effectively managing tuna in the Western and Central Pacific Ocean (WCPO). According to Ms. Moss-Christian, members of the Commission have endorsed the development of a harvest strategy framework and progress has been made against an agreed workplan to develop comprehensive harvest strategies for all major tuna fisheries in the WCPO. 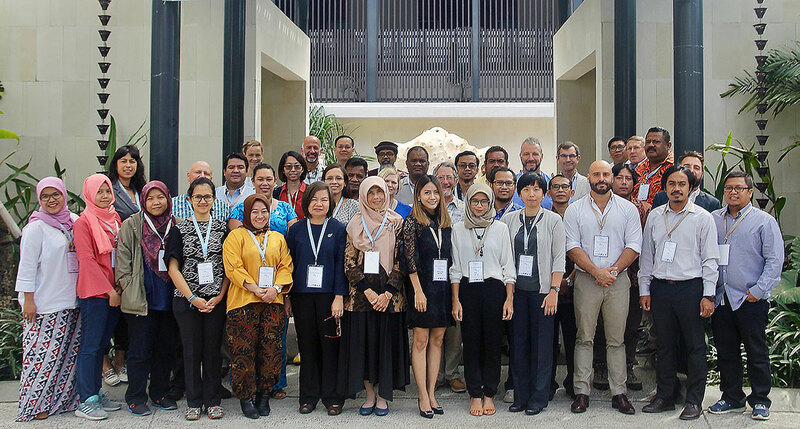 The Bali workshop, one part of the Common Oceans ABNJ Tuna Project implemented by World Wide Fund For Nature (WWF), provided presentations, exercises and hands on learning on key concepts and benefits of adopting harvest strategy frameworks. Participants also discussed management objectives in relation to evaluating harvest strategies and reviewed the current WCPFC MSE process. On the workshop’s second day, participants had an opportunity to explore working with an innovative simulation tool to test how management strategy evaluation can contribute to the development of robust control rules within an overall harvest strategy approach. Ocean Outcomes supported the design and management of this workshop series as part of a broader support strategy by the Common Oceans ABNJ Tuna Project aiming to facilitate the implementation of the precautionary approach for tuna at the Regional Fisheries Management Organization (RFMO) level. A second workshop (and the fifth in the overall workshop series) for the Western and Central Pacific for the Pacific Island states, will be scheduled in the near future. The Common Oceans ABNJ Tuna Project, funded by the Global Environment Facility (GEF) and implemented by the Food and Agriculture Organization of the United Nations (FAO), harnesses the efforts of a large and diverse array of partners. Including the five tuna RFMOs, governments, intergovernmental organizations, non-governmental organizations and private sector, the project works to achieve responsible, efficient and sustainable tuna production and biodiversity conservation in the ABNJ.